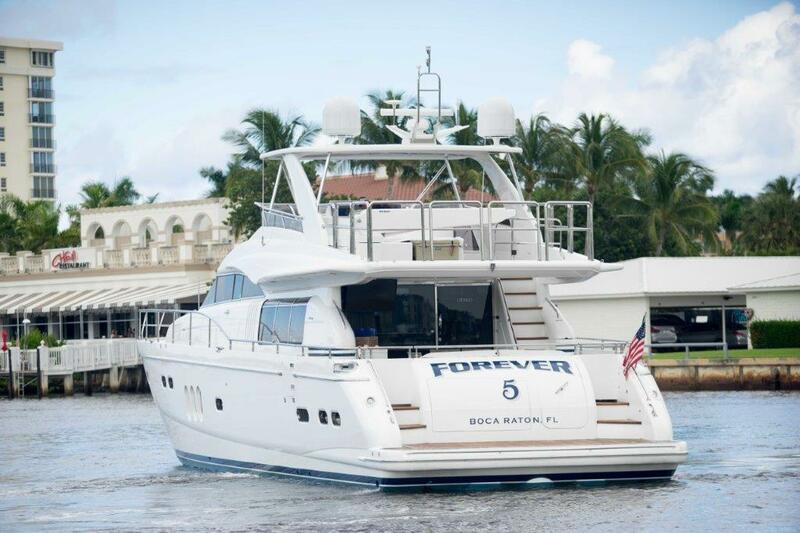 Motor yacht FOREVER 5 is a 22.86m (75') vessel built by Princess Yachts in 2006 and refitted in 2017. 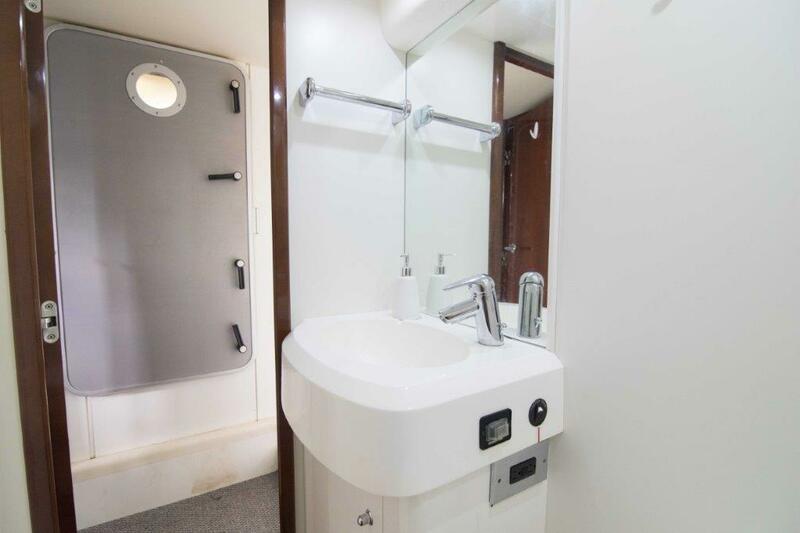 She is serviced by an attentive and professional crew of three and offers accommodation for up to six guests in three cabins. 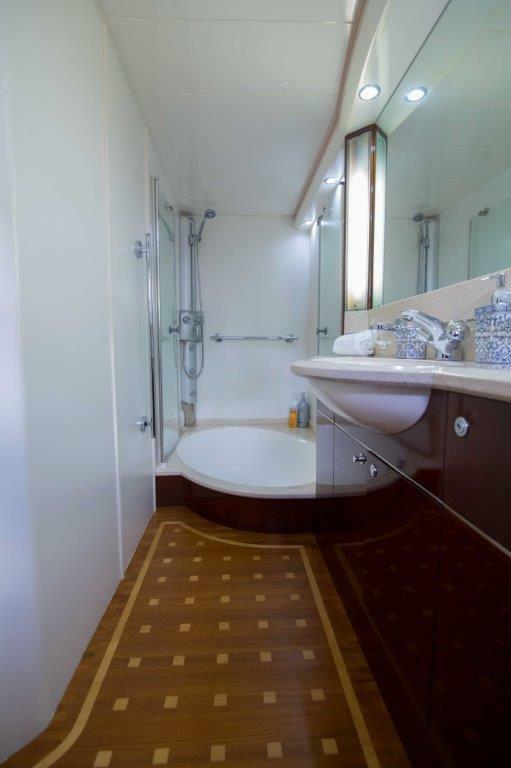 Guests arriving by tender can disembark onto the swim platform and gain access to the main deck aft via staircases to the port and starboard sides. 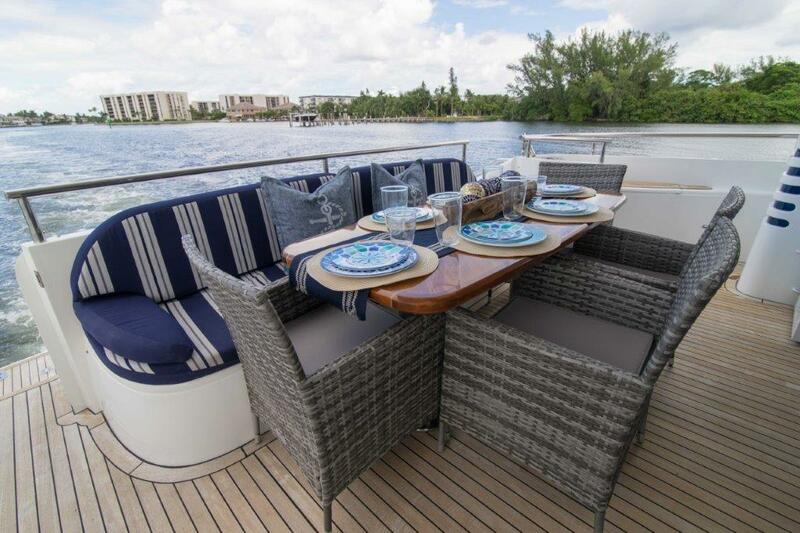 Here, a sofa lines the stern and the table and additional chairs make this sheltered area ideal for alfresco dining and outdoor lounging throughout the day. 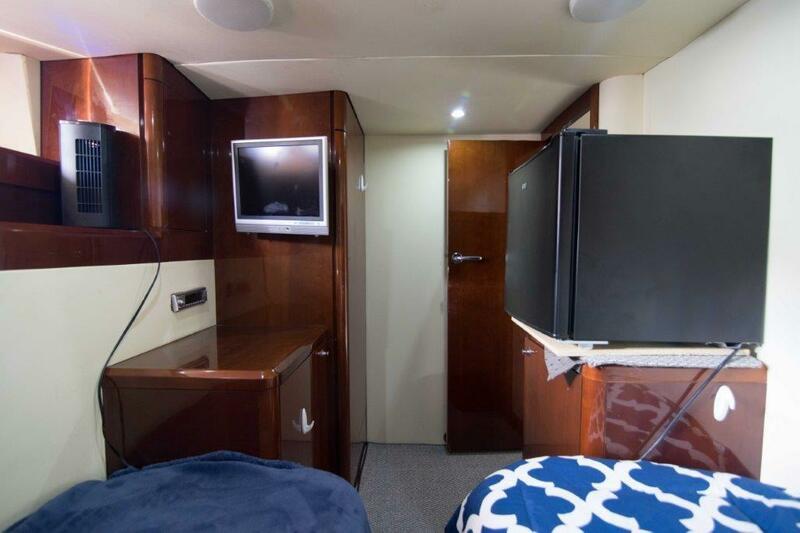 A widescreen TV is attached to the ceiling in the forward port corner, with a drinks cabinet below for refreshments throughout the day. 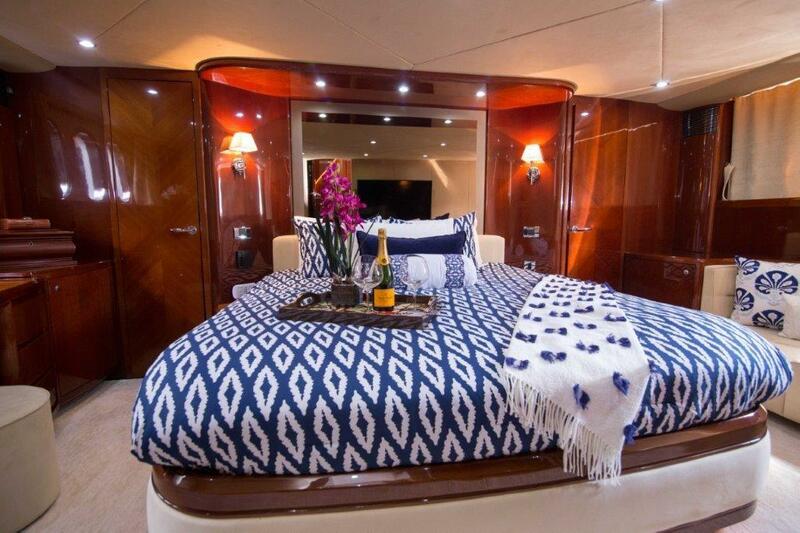 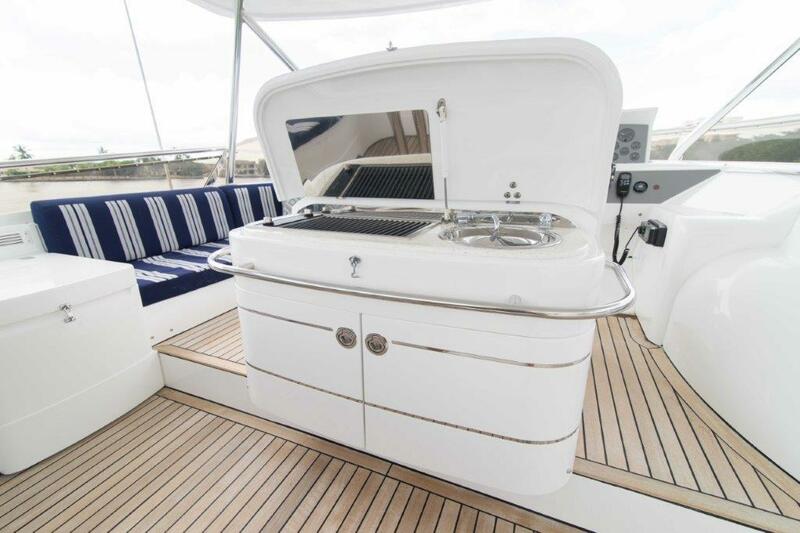 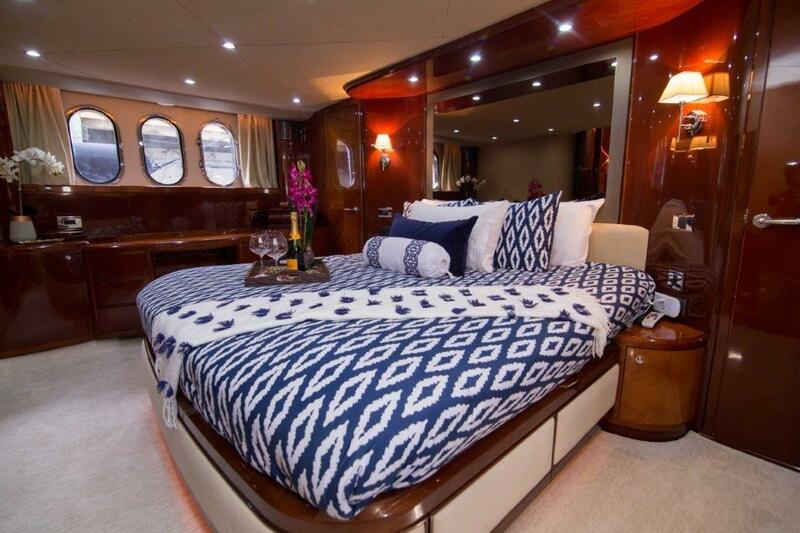 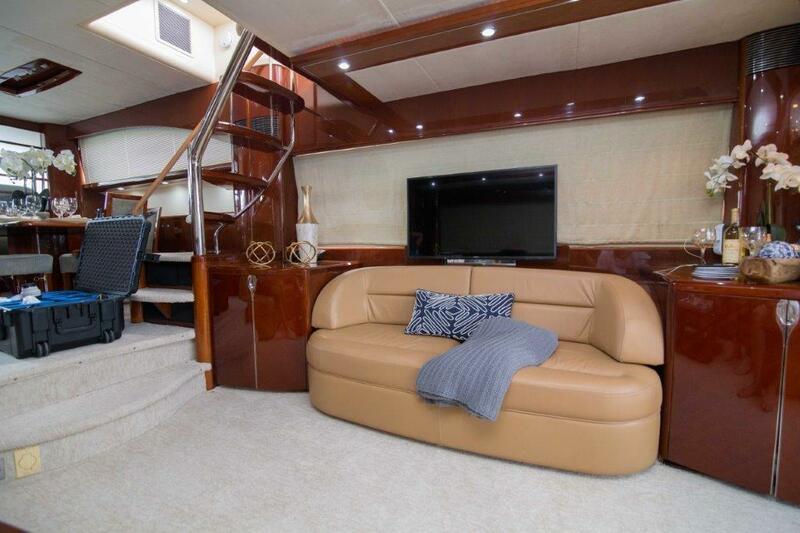 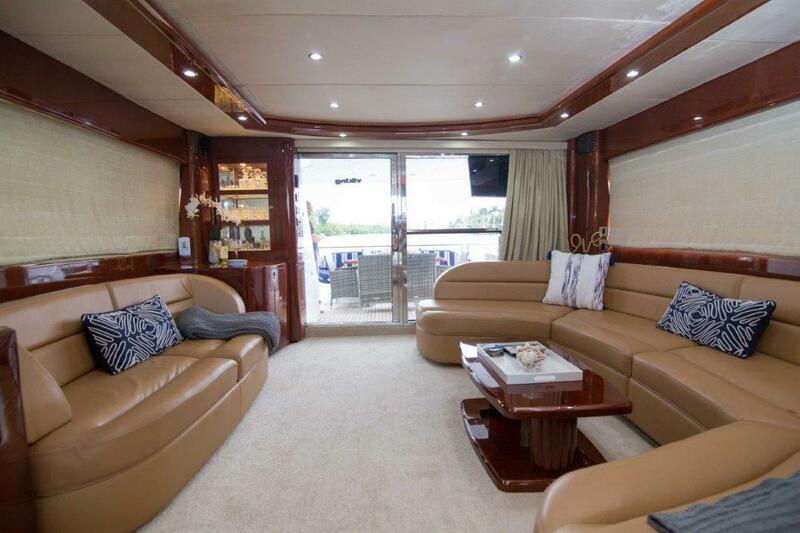 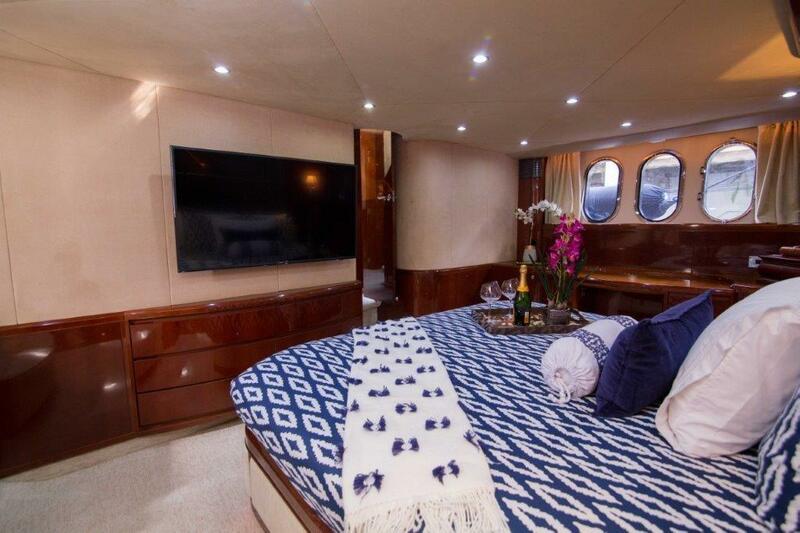 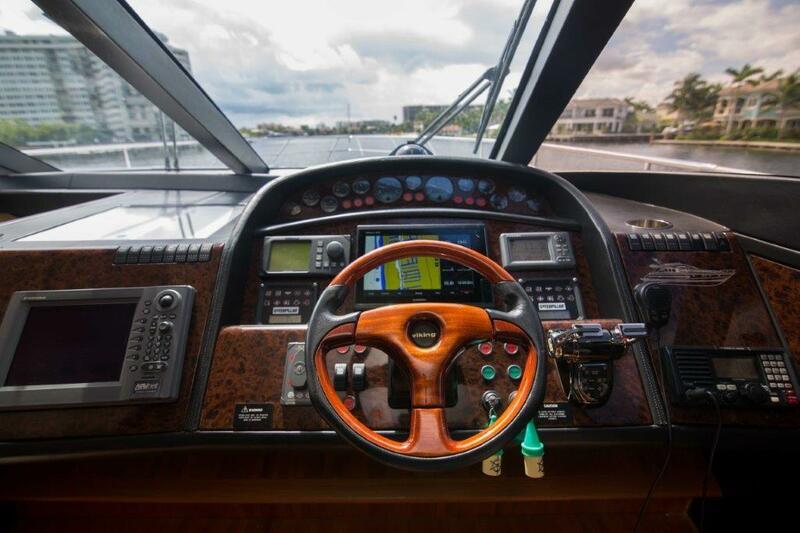 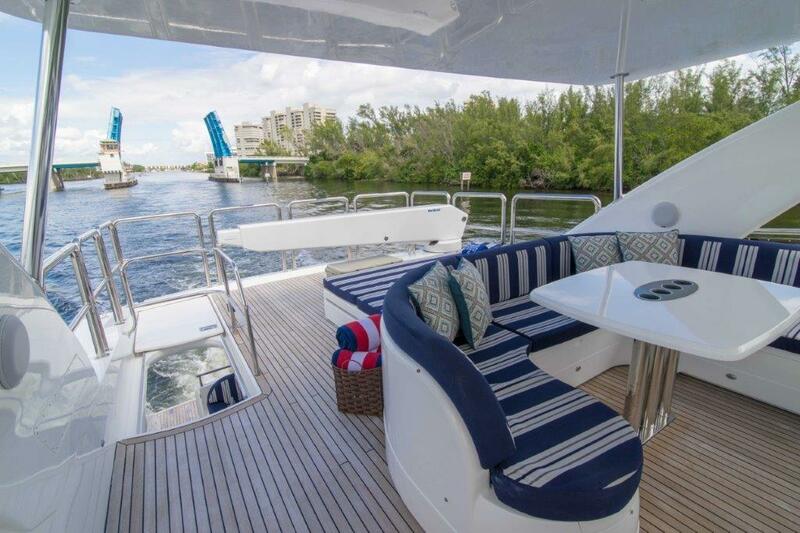 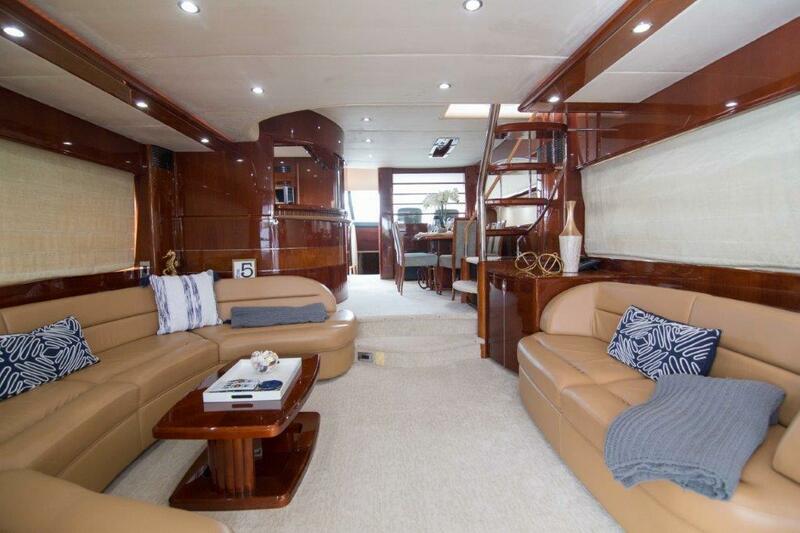 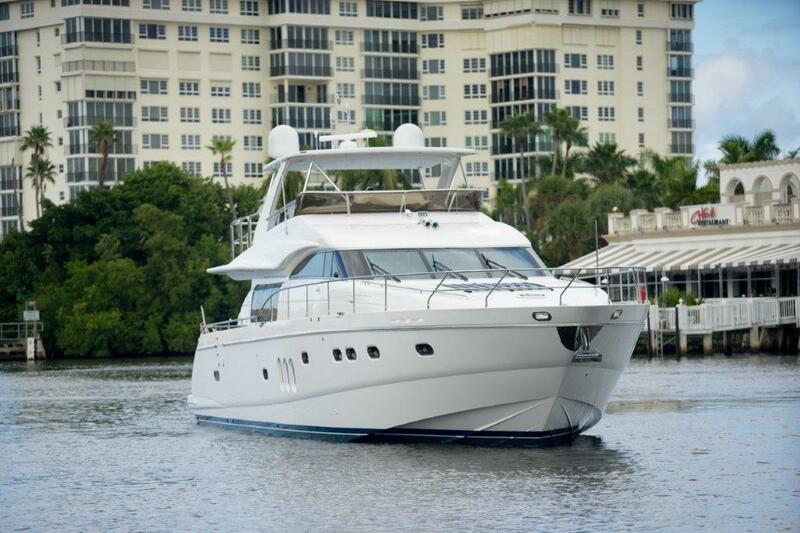 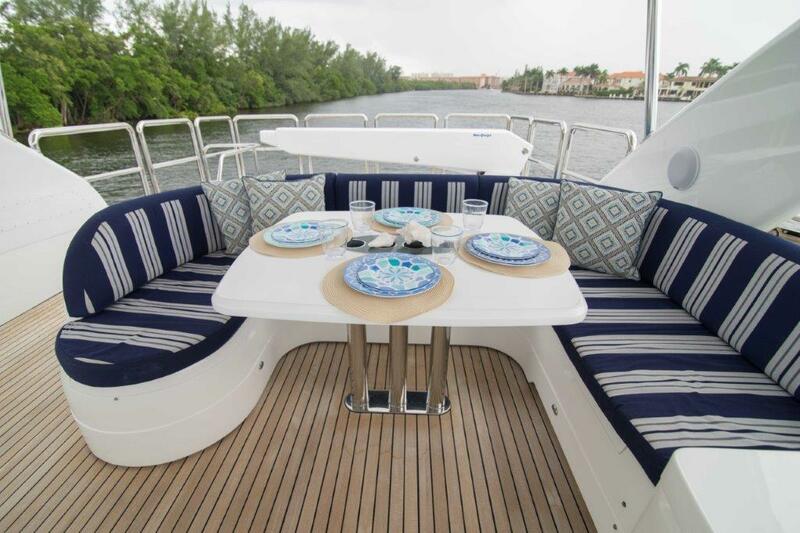 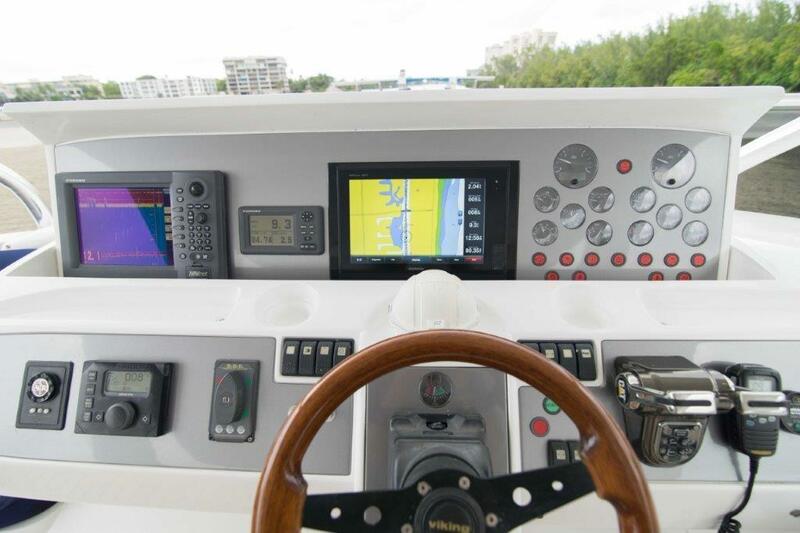 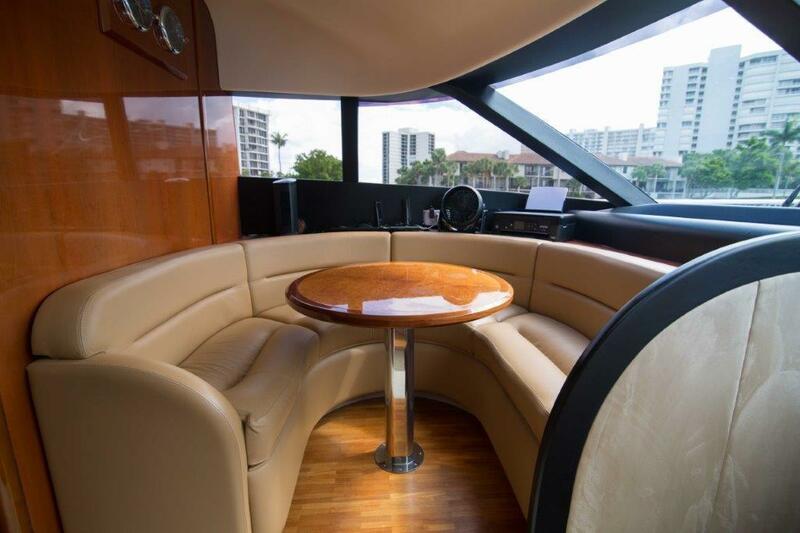 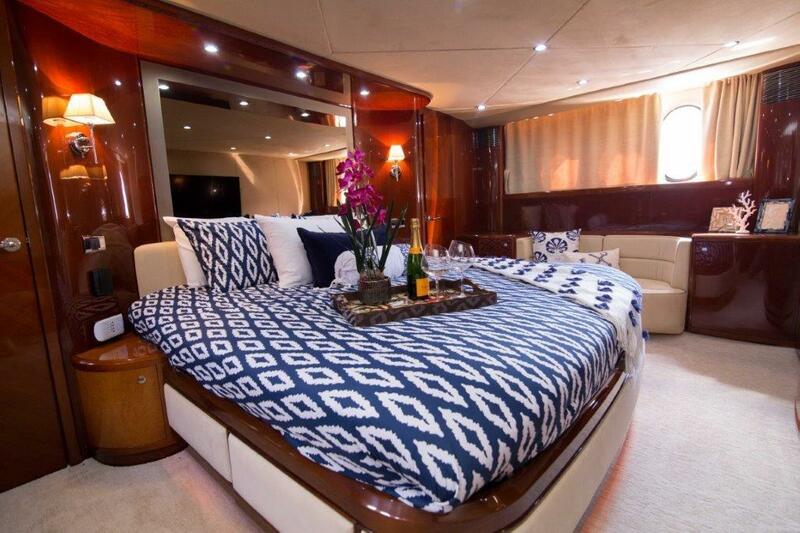 The central flybridge is covered by a bimini, beneath which there is a C-shaped sofa around a drinks table and additional seating beside the forward helm station. 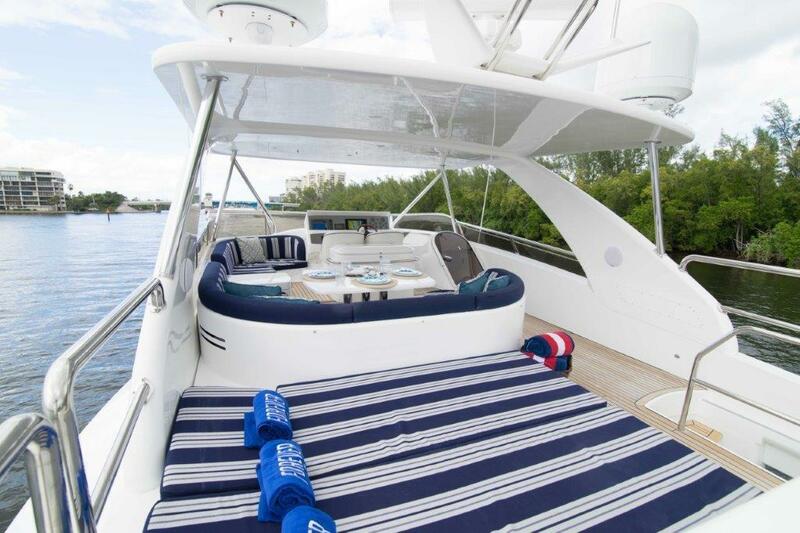 A double sunpad is placed to the aft in the sunshine, and the area along the stern is used for storing a tender which is launched and retrieved using a Davit crane. 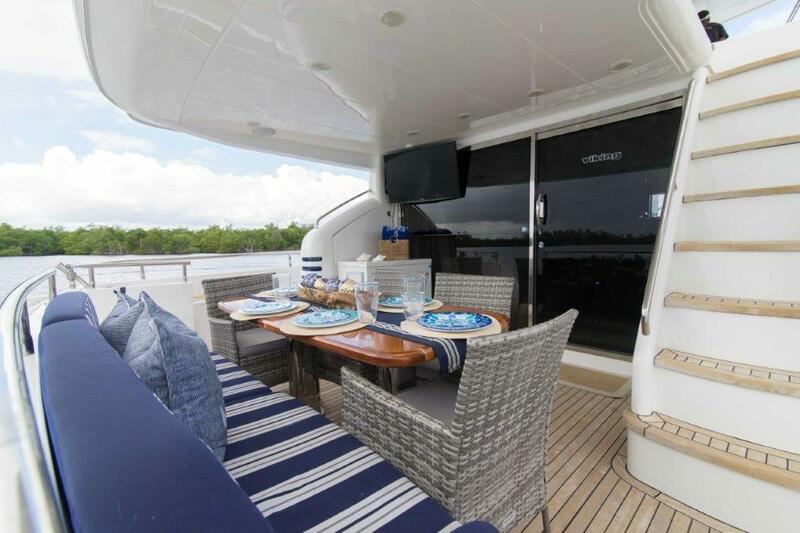 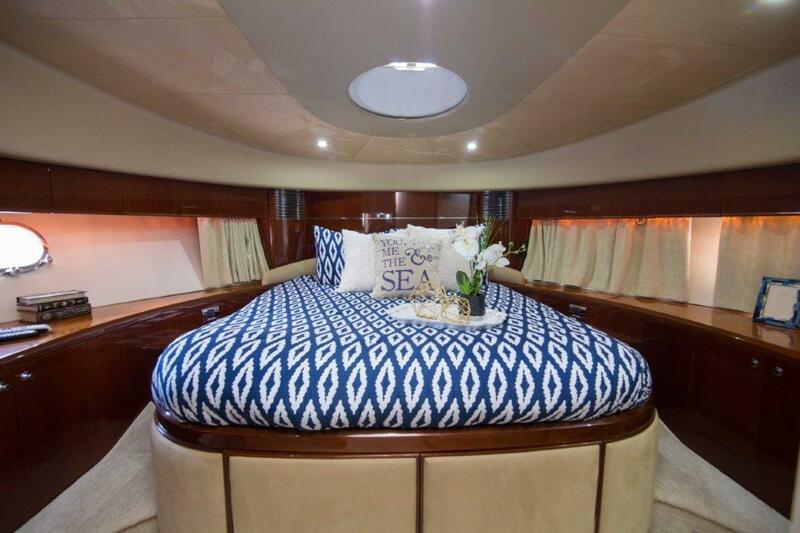 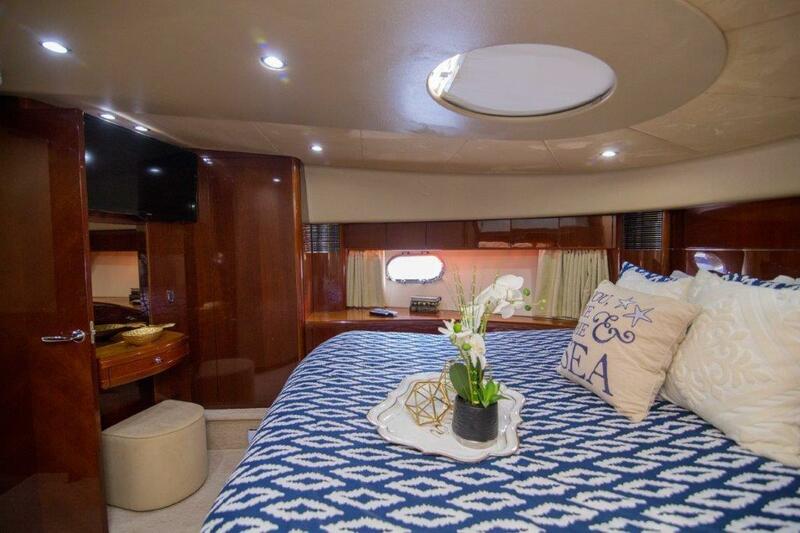 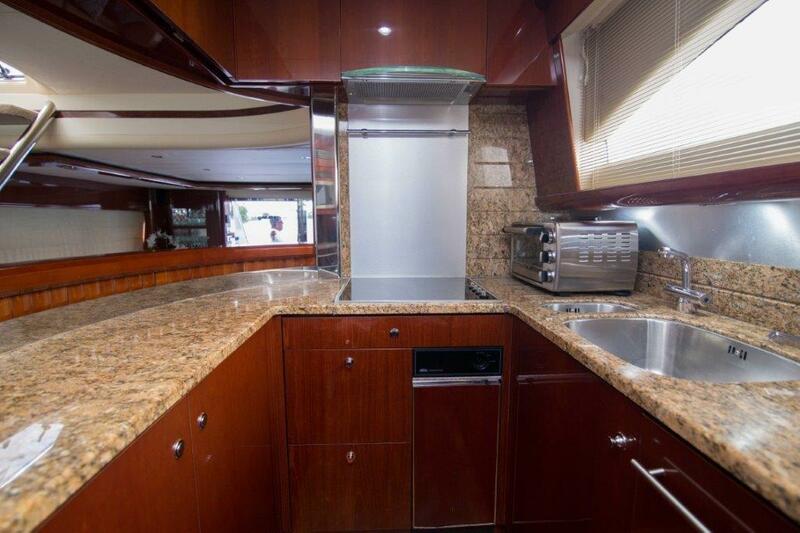 The foredeck features a double sun pad that enjoys uninterrupted forward views. 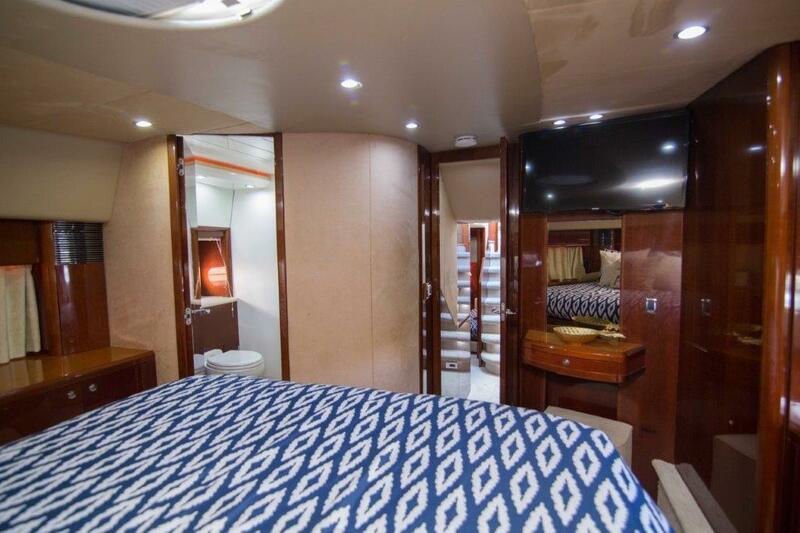 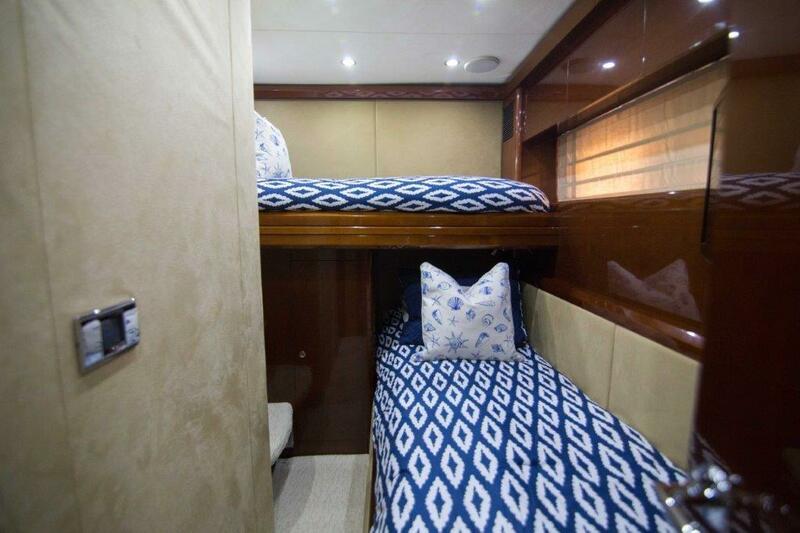 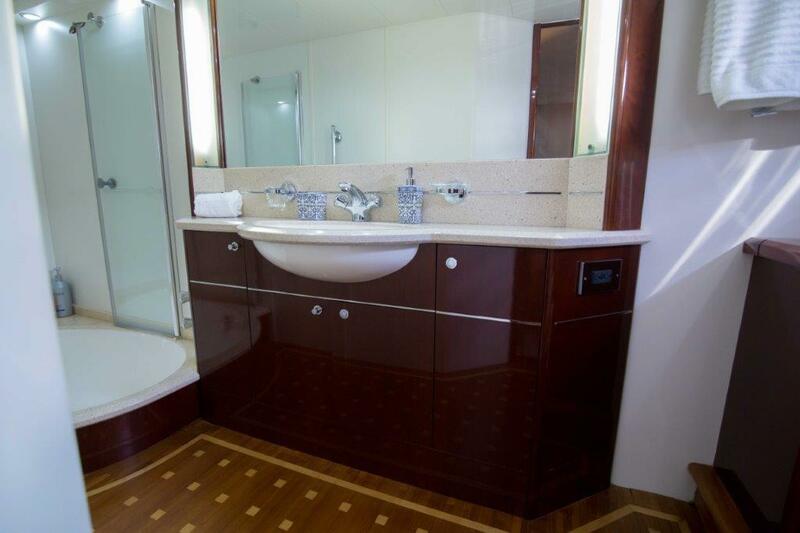 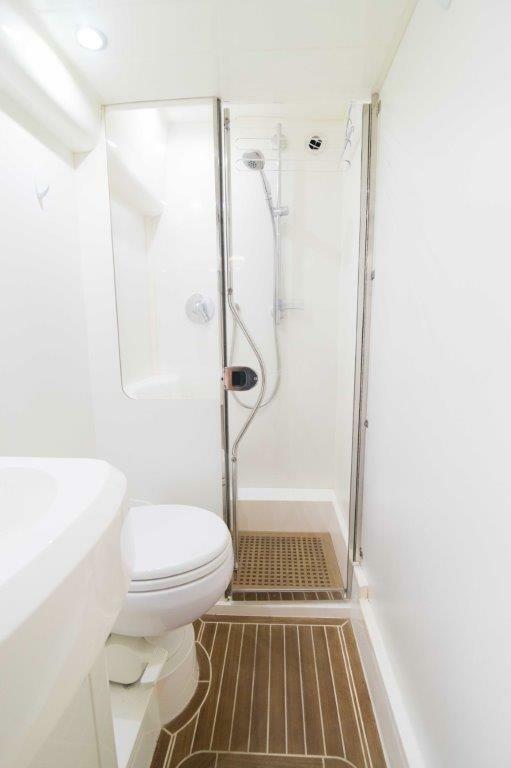 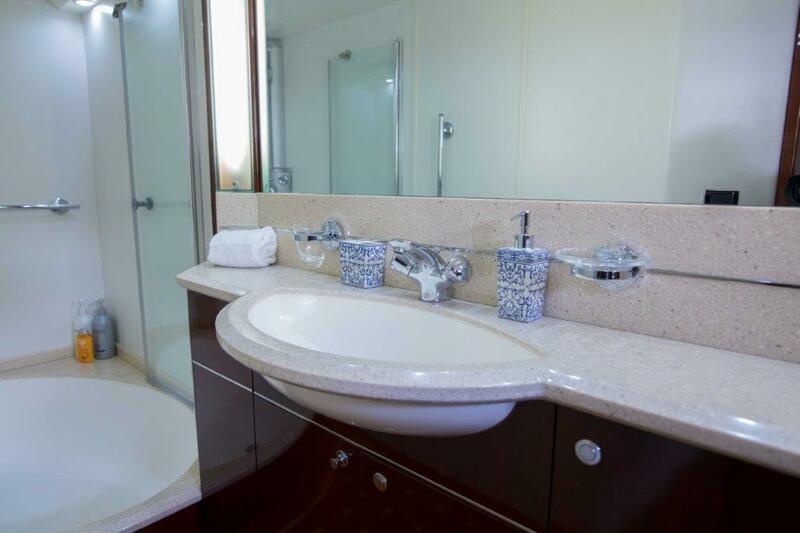 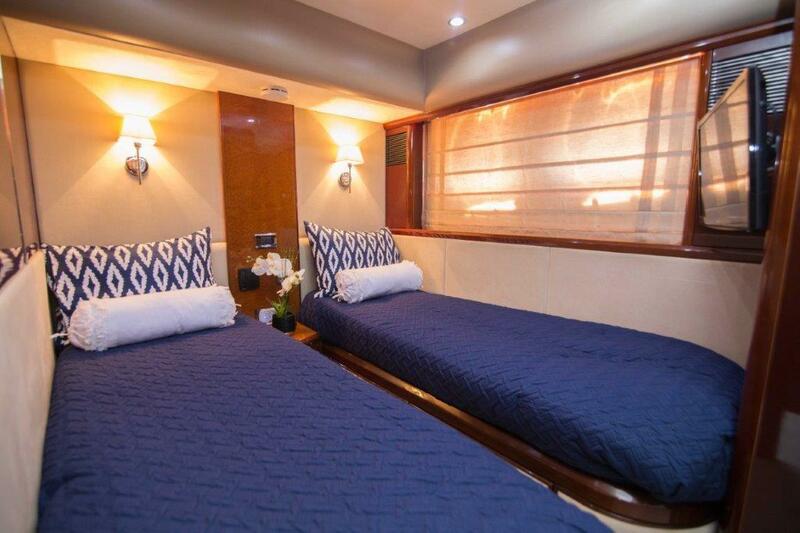 The lower deck hosts the guest accommodation and the crew accommodation with storage for the water toys. 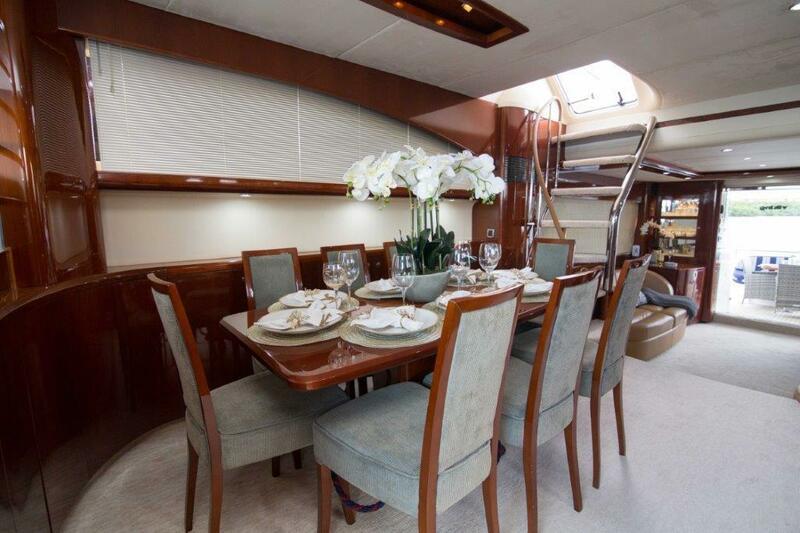 Above, the open-plan layout allows for plenty of sunshine through the windows on every side. 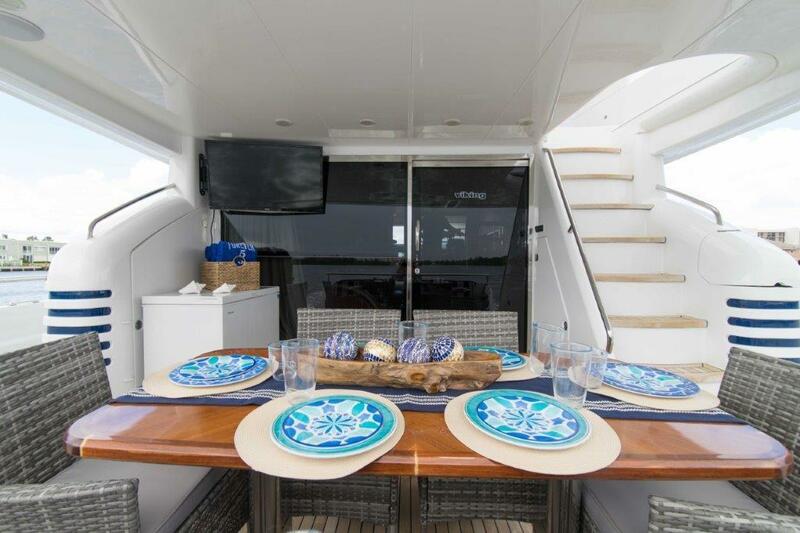 Behind the forward helm station, there is a formal dining area to seat up to eight guests beside the starboard-side window. 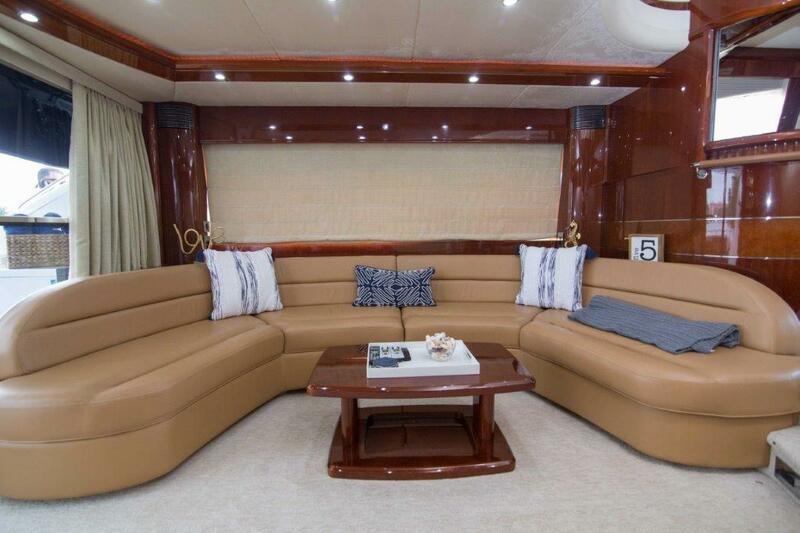 The staircase leading up to the flybridge separates the dining area from the aft lounge, where there is a sofa along the starboard wall and an elongated sofa curving around a coffee table against the opposite wall. 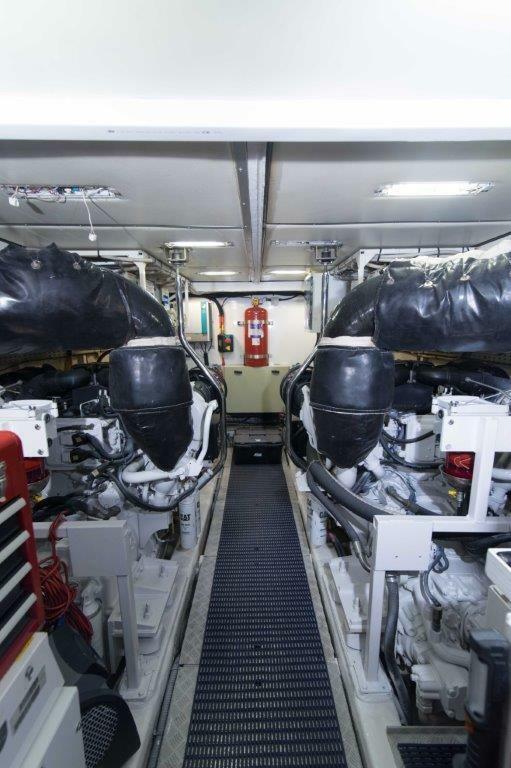 Twin Caterpillar C32 engines provide a top speed of 32 knots and a cruising speed of 26 knots. 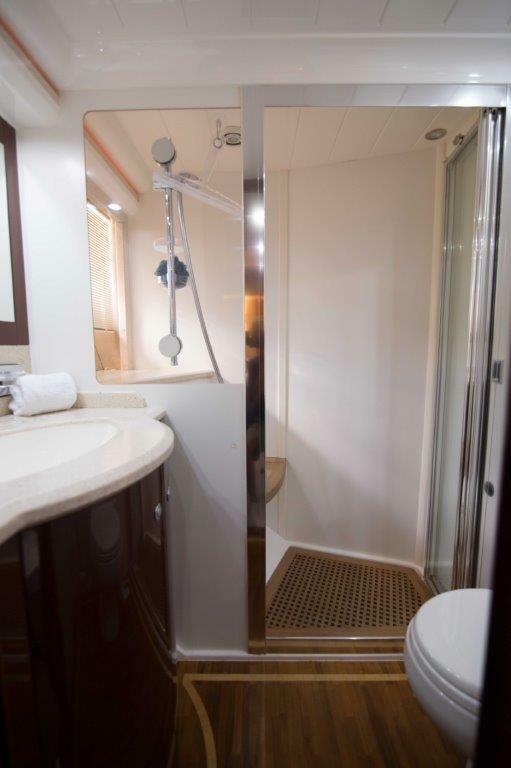 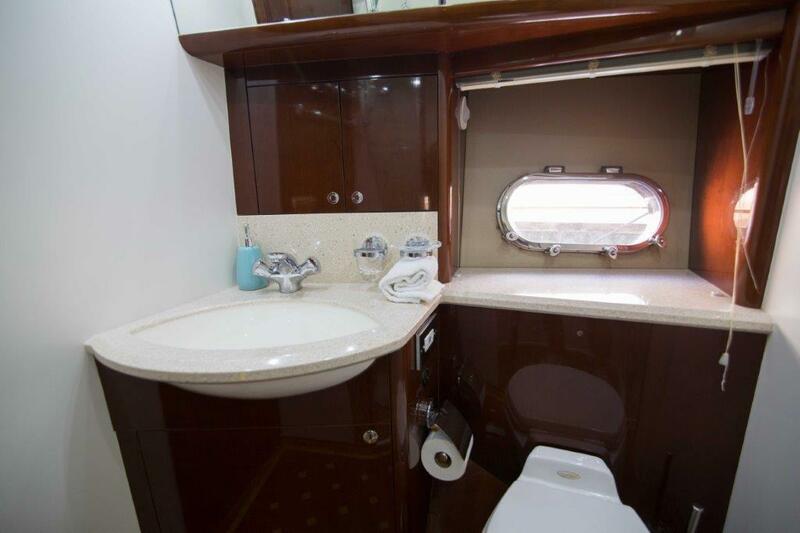 The accommodation sleeps a maximum of 6 guests over 3 en-suite cabins: 1 Master suite, 1 double cabin and 1 twin cabin. 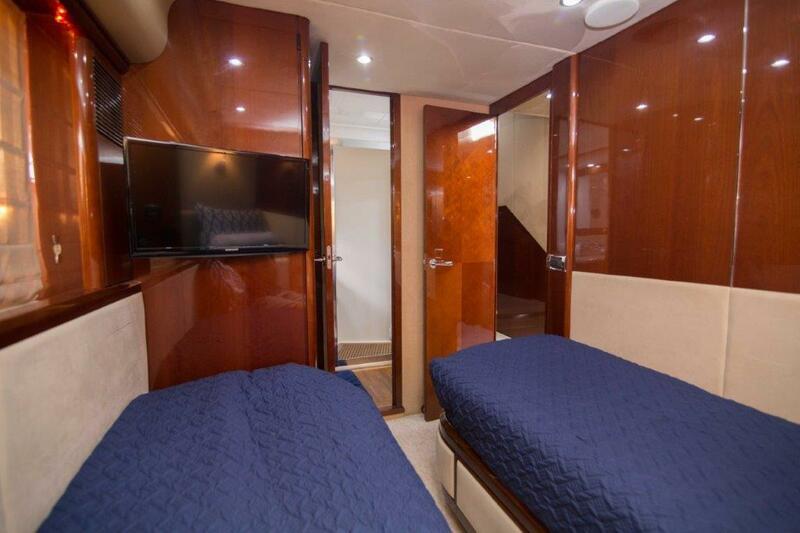 The crew of 3 will provide excellent service throughout the journey. 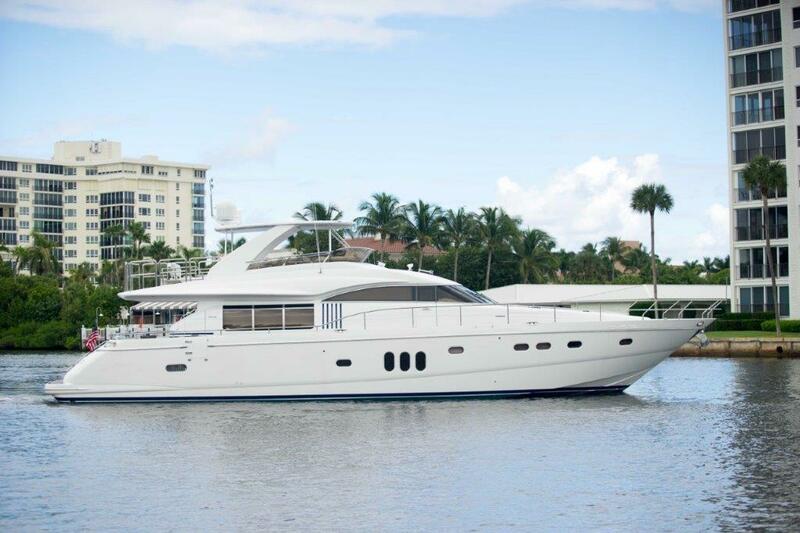 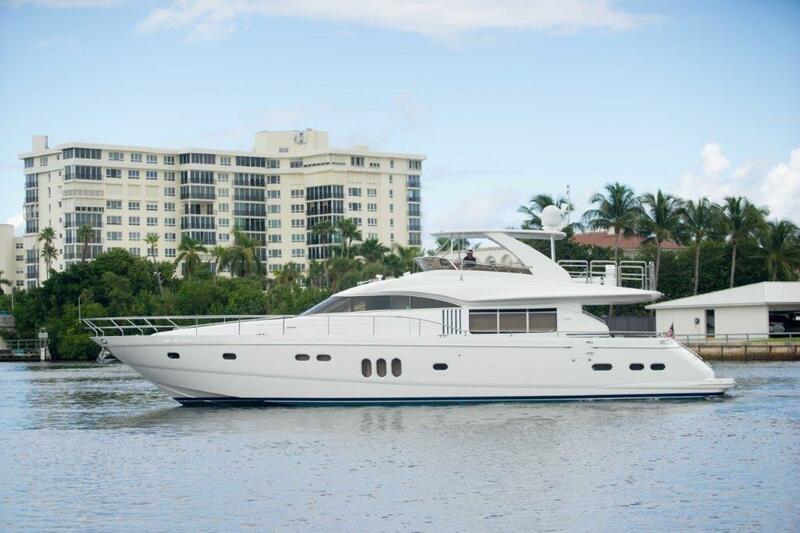 We do have available further amenity, owner and price information for the 22.86m (75') yacht FOREVER 5, so please enquire for more information.